The Geneva-2 Conference, which was held from January 22 to 31, 2014, did not bring any significant progress in resolving the Syrian Crisis, brewing since March 2011. 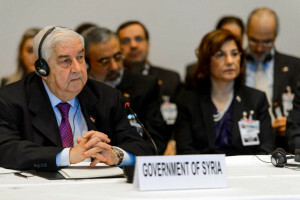 Its only result can probably be considered the fact of merely holding an international conference, which brought together more than 30 participants, including the heads of the Foreign Ministry of the Russian Federation and the U.S. State Department, who confirmed that the Syrian Crisis could be resolved only by political means. Both sides of the Syrian conflict were represented for the first time at the conference. The delegation from the Syrian government, headed by Walid Muallim, the Minister of Foreign Affairs of the Syrian Arab Republic (SAR), and Ahmad Jarba, the leader of the National Coalition for Revolutionary and Opposition Forces (NCROF), called “the only legitimate representative of the Syrian people” by the West. The delegations managed to discuss only the issues relating to the provision of humanitarian aid to the people living in the areas blocked as a result of the fighting, the exchange of prisoners and the activities of terrorists in the Syrian confrontation. The negotiations were conducted through an intermediary – Lakhdar Brahimi, the UN and LAS special envoy on the Syrian issue. However, no concrete results were achieved, including in regard of the passage of a humanitarian convoy in the city of Homs, which, as well as the exit of civilians from Homs, is prevented by the anti-government armed groups active in that area. Nevertheless, the Syrian government delegation and the representatives of NCROF reached an agreement on the next round of talks, which would be held on February 10, 2014. The sides demonstrated completely different positions on the issue of the terrorist groups. Actually, NCROF avoided the discussion of this issue, saying that the “Syrian regime accuses everyone here of supporting terrorists”. At the same time, the issue involving the activities of terrorist groups is the key one for the solution of the Syrian crisis. According to Syrian official sources, more than one thousand anti-government armed groups, totaling tens of thousands of fighters, are active in Syria now. Most of these have foreign mercenaries from over 80 countries. The most famous are the Nusra Front and the Islamic State of Iraq and the Levant, affiliated with the Al-Qaeda, and the Islamic Front, Syrian Revolutionary Front and the Free Syrian Army. The latter is positioned by the West as a less Islamized group and not associated with al-Qaeda. At the end of 2013, an armed confrontation between different groups began, in particular, between the Islamic State and Nusra Front on the one side, and the Free Syrian Army and Islamic Front on the other. In turn, the Syrian government defines all anti-government armed groups as terrorist units. At the Geneva-2 conference, representatives of the Syrian government rightly raised the question of “who are some of the participants of the conference – firefighters or fire starters in the Syrian conflict?” They meant the support that the armed groups continued to receive from such countries as Saudi Arabia and Qatar, as well as the penetration of militants from Turkey into Syria. In turn, the U.S., which had stopped the provision of military aid to the armed opposition earlier, nevertheless, resumed it in early 2014. France also told about the continuation of its support to the Syrian opposition. In England, the former Prime Minister Tony Blair said before the Geneva-2, that it was necessary “to support the Syrian opposition in order to establish a balance of power between them and Assad’s regime”. Indeed, such a position of these countries can hardly be qualified as one promoting the resolution of the Syrian conflict, rather to the contrary. Statements of their representatives that they “do not provide assistance to radical opposition forces” can hardly be taken seriously. It is obvious that the anti-government armed groups in Syria are, as they were figuratively described by the Foreign Minister of the Russian Federation, a type of “communicating vessels”, and their weapons and militants “flow from one to the other, depending on where they are paid more”. The situation before and during the beginning of the Geneva-2, also did not promote a political settlement. We should recall the story of the invitation to the conference for Iran, which was made by the UN Secretary General, who later withdrew it at the request of the United States and NCROF, which fact, to put it mildly, seriously discredited the UN and reduced the effectiveness of the Geneva-2. A report by a representative of Qatar about alleged widespread torture of prisoners in Syrian prisons was published before the conference. The Euronews Channel showed an interview with a Syrian being presented as a witness who had suffered torture. At the same time, the statement of representatives of the Human Rights Watch ware made public, accusing the Syrian government of the intentional destruction of houses, allegedly belonging to opposition supporters. Moreover, aerial photographs taken from airplanes and satellites of the United States were shown as evidence. Obviously, these actions and accusations, the groundlessness of which was proven by the response of the Syrian government, were a kind of propaganda “artillery preparation” for an attack on the leadership of al-Assad with a view of, once again, voicing demands for his resignation and foreign intervention in Syria. During the talks in Geneva, NCROF tried to raise the issue of President Assad’s resignation and the transfer of power to a transitional authority. However, the Syrian government delegation rightly refused to consider it before the main problems were solved – the activities of terrorist groups and cessation of the armed confrontation. It is obvious that NCROF’s demand to transfer power to the transitional authority, which would not include representatives of the current Syrian government, is absurd and unreal. It means that NCROF seeks to dominate in this transitional authority structure. However, we know that NCROF consists of different, often warring, factions, where the leading role is played by Islamists, including those professing the jihadist ideology. Accordingly, in the event of a hypothetical transfer of power to the transitional authority, where NCROF dominates, first, a struggle for power would start inside the NCROF, second, given the presence of a large number of armed Islamist groups in Syria, power would be seized by these groups. Finally, this situation is likely to lead to a civil war and the disintegration of Syria, as the current Syrian leadership is supported by all law enforcement and government agencies, as well as the party, trade union, youth and other organizations, who, together with their families, number 8 to 9 million people (out of the 24 million population of Syria). These people would suffer an inevitable genocide in case the Islamists came to power. 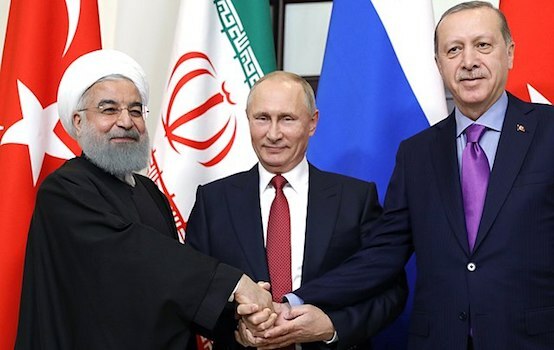 Such a position of NCROF and external players, supporting it, indicates that they are not interested in a political settlement of the Syrian crisis. However, such a position of NCROF can be explained, since it is clear that NCROF has no chances of coming to power in case of free and democratic elections in Syria, under the supervision of objective international observers – it is already quite discredited by its relations with terrorist armed groups that committed numerous crimes in Syria. 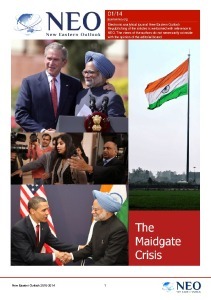 NCROF can hope to come to power only with the help of a foreign military intervention. Thus, we have to say once again that the goals of the Geneva-2 participants are different. While Russia, the countries sharing its position, and the Syrian leadership, seek to reach a consensus and find a political solution to the conflict, the main purpose of NCROF, NATO countries and the Gulf monarchies, supporting it, is to remove the government of B. Assad in any way possible, and by any means. Nevertheless, it is necessary to hold further negotiations within the Geneva-2 because, first, there is no other mechanism under the auspices of the UN, aiming at the solution to the Syrian Crisis. Second, the position of the external players, supporting Syrian opposition, are undergoing some changes, as the strengthening of jihadist groups in the Middle East could threaten their interests and security. This is evidenced, for example, by the fact that Turkey closed border-crossing points, which were captured by the Islamic State of Iraq and the Levant from the Syrian side, and it did this out of fear that the militants, after infiltrating into Turkey, could commit terrorist acts against NCROF structures located there. For its part, the United States told about its support for Iraqi authorities in their fight against the militants of the Islamic State of Iraq and the Levant, who seized areas of Iraq’s province of Anbar bordering on Syria. At the same time, the next round of the Geneva-2 talks can be much more productive if representatives of the internal Syrian opposition are invited to them, the need for which was rightly pointed out by the Foreign Minister of the Russian Federation. Boris Dolgov, PhD in History, Senior Research Fellow of the Center for Arabic Studies of the Russian Institute of Oriental Studies, exclusively for the online magazine “New Eastern Outlook”.